Using seasonal ingredients really makes the heart (and stomach) of a #foodblogger happy. And today, we just did just that… Miranda sourced some amazing nectarines and mint to concoct our very own Mint Nectarine Pico de Gallo to pair with our favorite restaurant-style tortilla chips! Happy Monday! 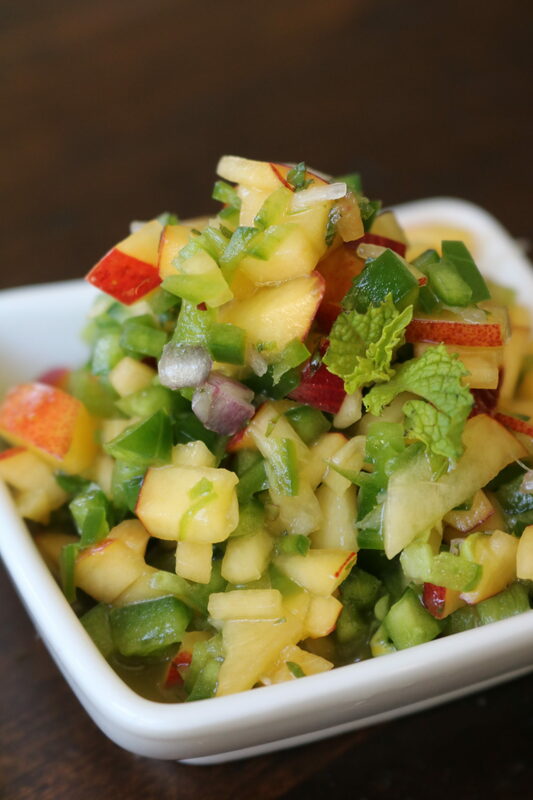 Gently stir nectarines, onion, jalapeños, and mint until well mixed. In a separate bowl whisk together olive oil, maple syrup, and lime juice. Pour dressing over the chopped mixture and fold until evenly coated. Salt to taste. Refrigerate for 30 minutes prior to serving with your favorite tortilla chips! Enjoy!